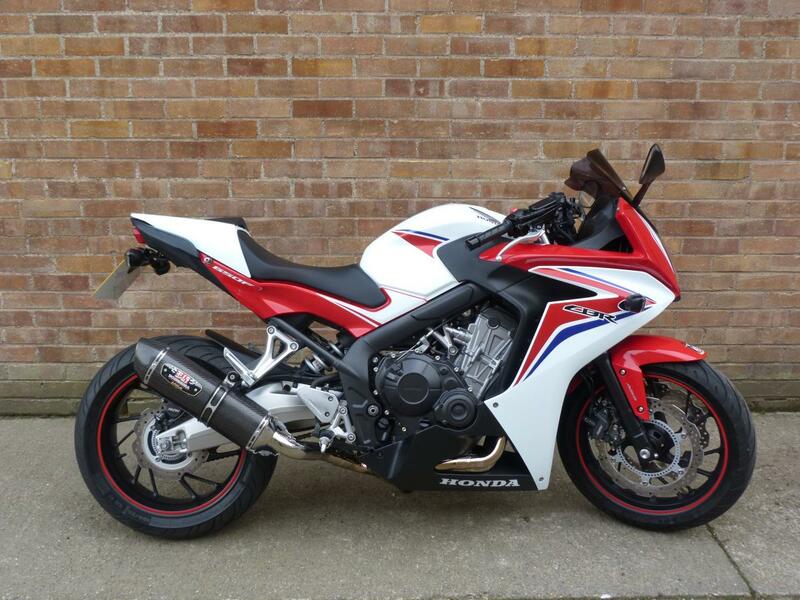 Here for sale is a 2015 15-plate Honda CBR650 FA-E with just 8,507 miles on the clock. This stunning example has been very well looked after and has a Full Service History. The bike has had a small fortune spent on the Full Yoshimura exhaust system, tail tidy, seat hump, carbon look yoke cover and dark sports screen. This is a lovely example with all its original paperwork.